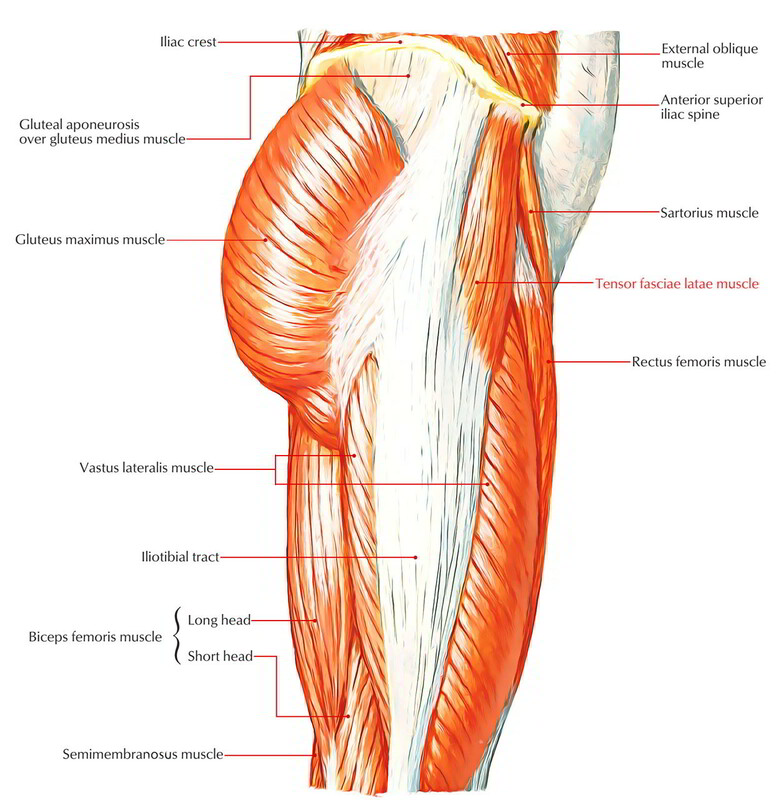 Tensor Fasciae Latae is a short thick muscle, which is located at the junction of the gluteal region and the upper part of the front of the thigh. It appears from the outer lip of the iliac crest extending from the anterior superior iliac spine to the tubercle of the crest. The muscle enters downward and somewhat backward and added into the iliotibial tract 3-5 cm below the level of the higher trochanter. It’s supplied by the superior gluteal nerve. It abducts the hip joint and keeps the extended position of the knee joint via the iliotibial tract. Morphologically, the tensor fasciae latae is a muscle of the gluteal region that has migrated on the lateral aspect of the thigh during the course of development but keeps its Nerve Supply. It’s supplied by the superior gluteal nerve- the nerve of gluteal region.